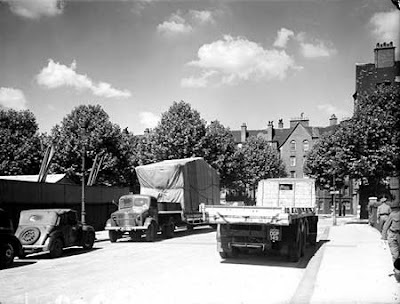 After the Second World War there was an acute shortage of homes in the parts of Britain that were badly bombed. 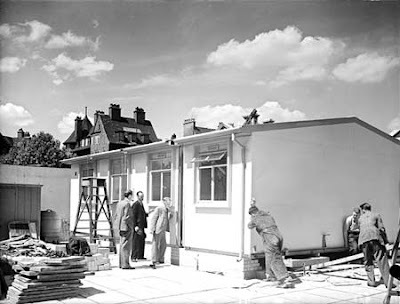 Winston Churchill announced a program to build half a million temporary homes; but only about 150,000 were actually built. 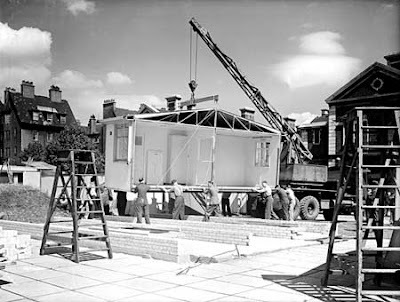 The building stopped in 1948 when the prefabricated homes turned out to be too expensive at £1324 each. These “palaces for the people” were supposed to last only 15 years, but many still survive. Replacing them is proving to be tricky as many of the residents have become very attached to their homes. In Newport, Wales, the groups of neighbours have been moved together, hoping to maintain the sense of community.